Our professional team are able to provide temporary roof scaffolding in order to provide complete protection from the elements throughout your construction project. In addition to this, we can provide a temporary drainage system specifically for the building type, size and shape. 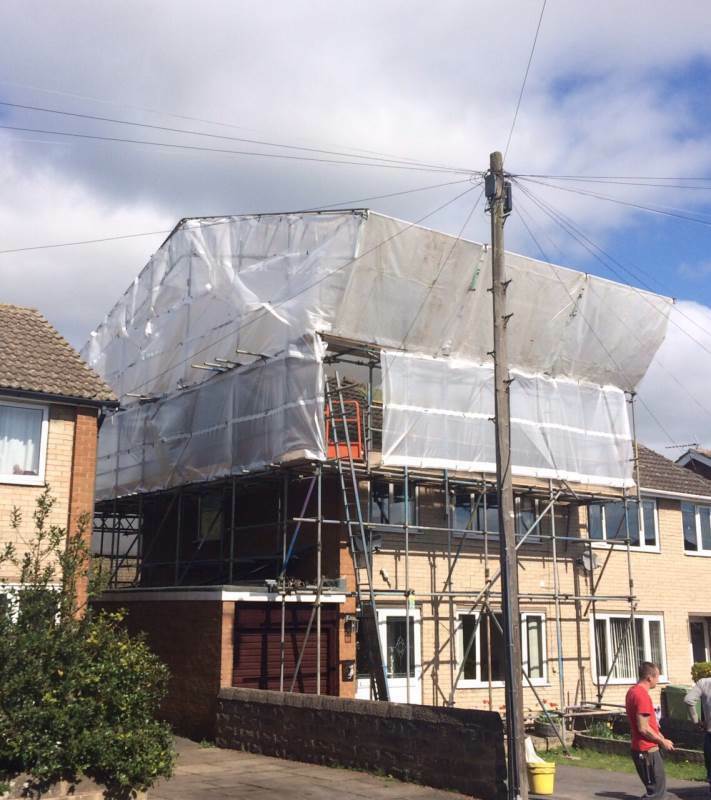 Leeds Scaffolding are able to provide and erect temporary roof structures to protect your residential or commercial building from weather, dust and the environment. A temporary roof structure can be provided as a stand-alone structure, or it can be used within existing scaffolding builds. The temporary roof cover service that we offer to our customers can be erected without the use of cranes or heavy machines , and can be erected as a mobile roof to be moved as the construction project progresses. Work can be carried out both on commercial contracts and private property/housing for eg. roofing, pebble dash etc with respect for paving, tarmac and gardens etc. We take on work on existing houses and brand new constructions, in both conventional and timber-frame profiles. So if you are looking for high-quality temporary roof solutions, please feel free to get in contact with us today for a no-obligation quotation based on your project.